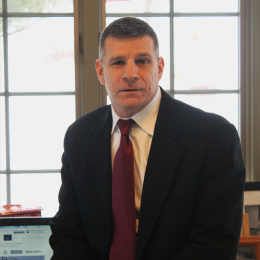 Joe Blaettler is the owner and principal operator of East Coast Private Investigations of New Jersey. Joe has over 30 years of military and police experience. He is a retired Deputy Chief of Police of a major urban New Jersey Police Department. During his law enforcement career he served in numerous operational and management positions. He has extensive experience in undercover and surveillance operations and has previously been certified in Superior Court of New Jersey as an expert in narcotics identification and investigations. He was the Commanding Officer of his department’s Narcotics Division, leading citywide operations and investigations in order to suppress narcotics related activity. As a Captain he initiated and commanded his department’s first Emergency Services Unit (ESU), an elite law enforcement unit responsible for all tactical and rescue operations. He was personally responsible for selection and training of personnel, equipment purchasing, and operational readiness. He successfully deployed and commanded the unit through multiple high-risk operations, including hostage rescues, barricaded suspects, high-risk search warrants and wanted parties. Joe graduated with high honors from the College of Saint Elizabeth with a B.S. in Justice Studies. He also holds a Master of Science in Police Administration and is a graduate of the prestigious FBI National Academy. In addition to conducting private investigations, Joe has also assisted numerous law firms involved in police policy and procedure matters. Working on behalf of both plaintiffs and defendants, Joe has prepared numerous expert reports. He has rendered reports in cases involving federal court, state court, municipal and administrative courts, and has issued reports or assisted in cases in New Jersey, New York, Pennsylvania, New Mexico, Ohio, Indiana and Maryland. Joe has previously been approved by the New Jersey State PBA, the New Jersey FOP and the Suffolk County Police to render and has rendered reports on behalf of their members. Joe is an adjunct professor, teaching leadership and supervision and ethics in policing. He is a State of New Jersey Certified Public Manager and a State of New Jersey licensed private investigator currently based in Morristown, NJ. Robert Wilson is a Senior Investigator with ECPINJ. In the 26+ years of Law Enforcement, Robert Wilson has shared his experience between the Los Angeles Police Department in California and the Union City Police Department in New Jersey. Bob achieved the status of Police Lieutenant before retiring in January 1999. During his career, Bob had the opportunity to perform as a Patrol Supervisor, Detective, and Narcotics Investigator. Bob received numerous awards throughout his career, including two Valor awards and an Honorable Service award. Bob is a State of New Jersey Licensed Private Investigator. Bob has extensive expertise in scuba diving and holds the rating of Course Director, Instructor Trainer in deep mixed-gas diving and is considered to be an expert witness in scuba diving. Bob is a member of the exclusive New York City chapter of the prestigious “Explorers Club.” Bob also successfully obtained a United States Coast Guard “Master” license for near-coastal 100-ton vessel operation. Additionally, Bob has been certified as an Emergency Medical Technician since 1979 and is currently an Emergency First Response Instructor Trainer. Bob has been training in GoJu Karate since 1994 and is a second degree Black Belt. Joe is a private investigator with ECPINJ with over 10 years of personal protection experience. He has been a Professional Mixed Martial Artist since 2005 and fought competitively throughout the United States, securing Championship titles. In addition, Joe continues to train full time in hand-to-hand combat with knife, firearm and unarmed tactics. He currently holds concealed carry weapon licensing which is valid in 35 States and began surveillance training under Joe Blaettler in 2012. In 2013, he received his Black Belt from Martial Arts Hall-of-fame Sensei Alex Wilkie. Joe’s Mixed Martial Arts experience includes a mix of the following disciplines: American Boxing, Muay Thai, Wrestling, Brazilian Jiu-Jitsu, Judo, Systema, Kali and Wing Chun. Denise Germinario is licensed under ECPINJ as a private investigator in the state of New Jersey. She serves as research assistant and investigator for ECPINJ. Denise is an asset in surveillance for her ability to blend in; females generally are less intimidating and can surveil without attracting attention from the subject.